This year, United Way of New York City (UWNYC) set out to understand what it would truly take to make ends meet in this city—to become “self-sufficient.” Federal poverty measures define a single mother earning $16,000 a year as “poor.” We believe that the alleviation of poverty is not enough, rather that becoming self-sufficient is the more appropriate aim, and will be the focus of our efforts going forward. In order to clearly define and understand what it takes to be “self-sufficient” in New York City, UWNYC convened economists, anti-poverty advocates, food-policy experts, researchers, and social service leaders to precisely measure the amount of income required to cover those basic living expenses. That effort culminated in a report titled, Overlooked and Undercounted: The Struggle to Make Ends Meet in New York City, published in September 2014. We now know that 1 in 3 of our neighbors are not self-sufficient—that’s almost 2.7 million New Yorkers—who cannot cover the basics: food, healthcare, childcare, transportation, taxes, and housing. In order to address these issues UWNYC adopted a “bold goal” that by 2025, we will help 50,000 New Yorkers in neighborhoods of concentrated poverty make meaningful and measurable progress toward the pivotal milestone of self-sufficiency. We call this a bold goal, but we know it’s one that we can achieve together! We have reorganized our work into several initiatives that are outlined in this report and have further evolved our approach by fully embracing collective impact and becoming a “backbone” entity where we will help communities diagnose the root causes of the challenges they face, design actionable plans to overcome those challenges and achieve their goals, deploy financial and human capital against those plans, and study and measure the impact of those plans to ultimately drive policy and systems change.  This year, we have laid a strong foundation for efforts going forward. We are excited about this innovative approach, and the tangible gains realized through our programmatic initiatives are encouraging—just take a look at the results of ReadNYC on page 8. Browse through, learn about the impact we are making on the lives of our most-vulnerable neighbors, and we invite you to join us in our efforts. Together, we can build a City of possibility for all New Yorkers. 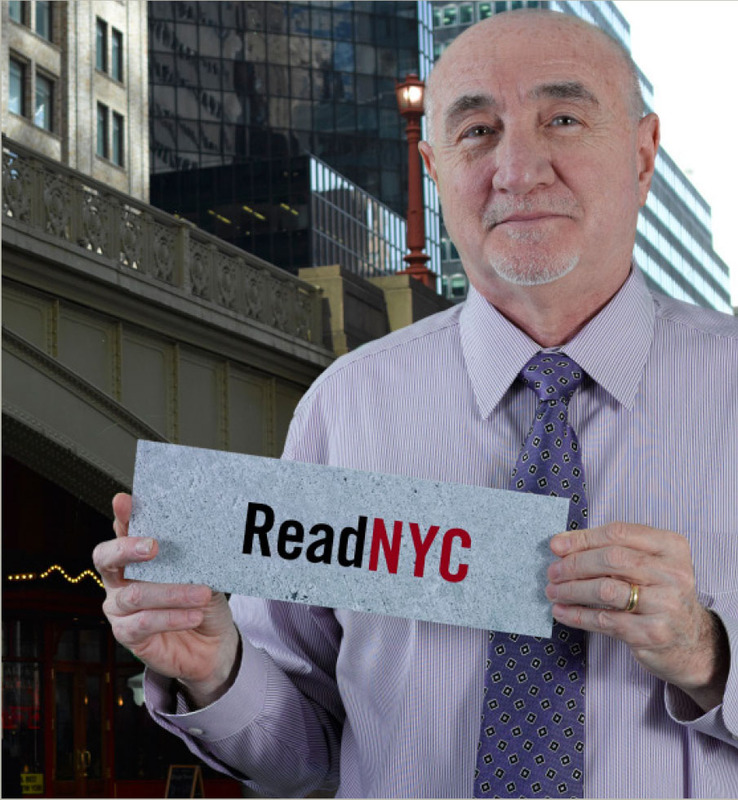 ReadNYC is United Way of New York City’s collective impact initiative to improve grade-level reading by third grade for children living in some of our City’s most-challenged communities. 94 Kindergarten–2nd grade students participated in a five-week summer program in partnership with East Side House Settlement and Read Alliance (95% increased their reading level, 43% by at least one academic year, and 35% read at or above grade level by the end of the five-week program). 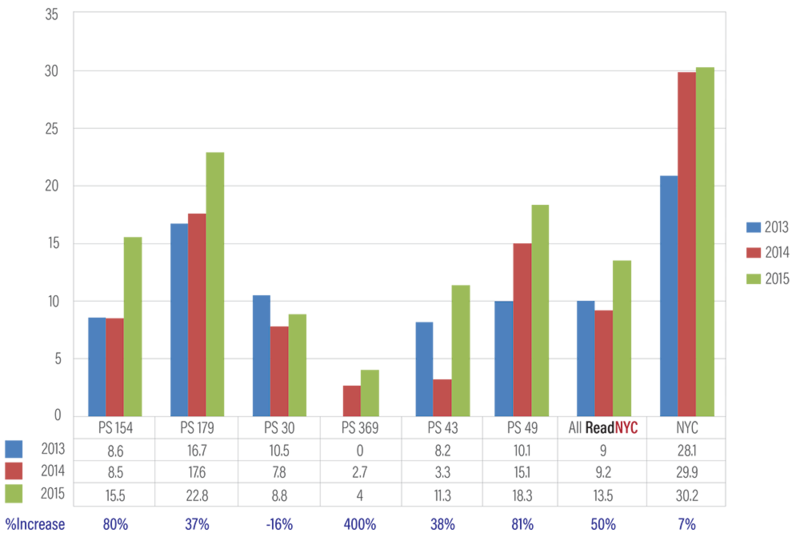 316 Kindergarten–2nd grade students received literacy tutoring from Read Alliance during the 2014–15 school year (97% increased their reading level, 55% by at least one academic year, and 25% read at or above grade level by the end of the program). 100% engagement from six ReadNYC school principals in the Instructional Leadership Professional Learning Community in partnership with Safir & Associates. 758 Pre-Kindergarten–5th grade students received dental screenings in partnership with Colgate Bright Smiles, Bright Futures—every student was screened by a dental professional and any student with severe or emergency dental problems received follow-up services with a dental provider. 14 parents completed a six-week English as a Second Language program in partnership with Mercy Center (93% of parents who finished the program made language gains). 825 ReadNYC families, Mott Haven residents, and 16 community-based organizations, received direct services or capacity building support to increase financial empowerment. Services included tax preparation assistance, benefits screening, and financial counseling conducted in partnership with the Financial Clinic, Ariva, and BronxWorks. 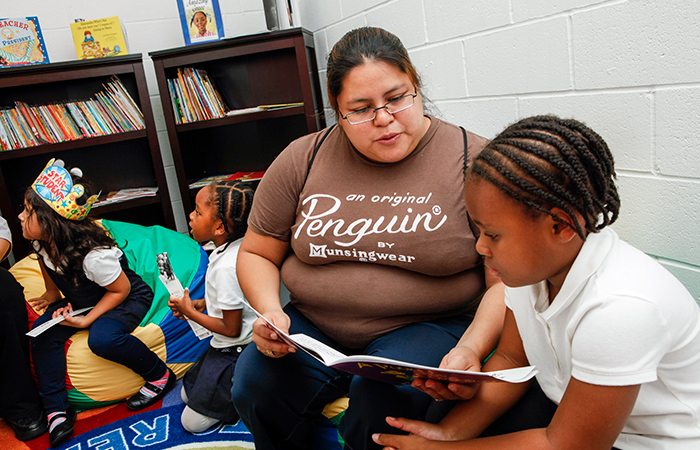 Our ReadNYC schools in Mott Haven have made significant progress. These English Language Arts (ELA) results speak to UWNYC’s instructional leadership work across the six schools. Our coaching work, which began in the 2014–15 school year, has positively impacted this student achievement growth and improved teacher and school leadership capacity. Our work has supported the school leaders’ focus on the achievement gap and on strengthening their instructional leadership skills. Of importance, we have worked with school leaders and their teacher leadership teams to define equity, to define and implement a solution to an equity challenge, and to focus on improving rigor in classroom teaching and learning practices through participation in professional learning communities. 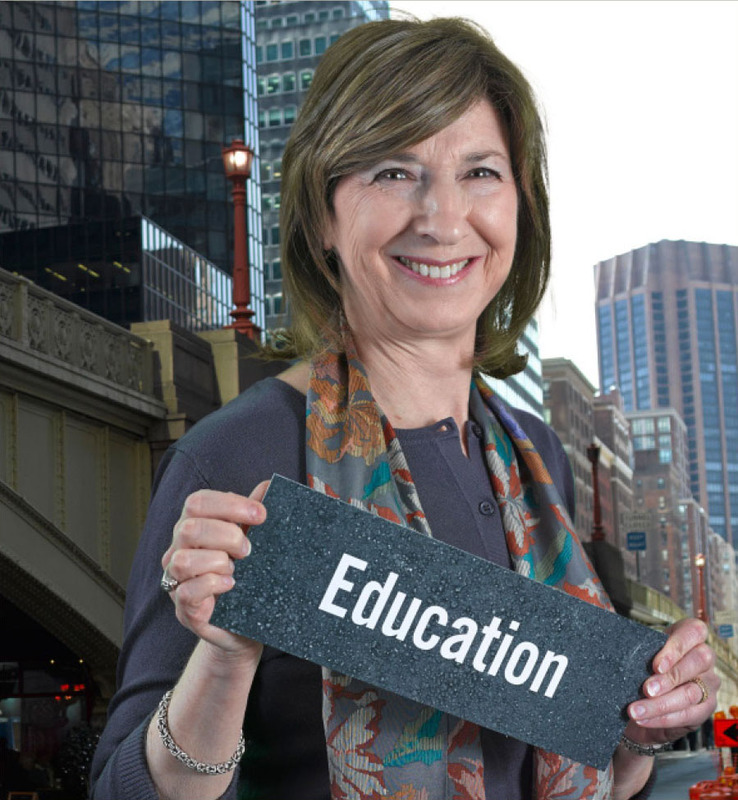 EducateNYC, now in its second year, is UWNYC’s community schools initiative. The strategy brings supports and services that are needed to remove barriers and help students succeed in school. Attendance is a key component of EducateNYC that helps students stay on track and succeed in school. Within the first six months of the community schools initiative, average daily attendance increased for 6,882 elementary students attending 13 schools, improving students more time for learning during the critical early years. End-of-year Community School Forums for ongoing collaboration with members of the community, including parent leaders, school-based organizations, and partnering organizations. New York City finds itself in a precarious spot. It’s one of the richest cities in the world, and yet 2.7 million New Yorkers are not self-sufficient. That means that 1 in 3 people in New York City can’t cover the basics—housing, food, childcare, transportation, taxes, and healthcare. In 2015, UWNYC said enough is enough. We adopted a bold goal that by 2025, 50,000 New Yorkers in neighborhoods of concentrated poverty will make meaningful and measurable progress toward the pivotal milestone of self-sufficiency—and UWNYC planted a stake in the ground. UWNYC has identified a way to help low-income families across New York City become self-sufficient. We implement a highly coordinated “two-generation” approach that has been highlighted as an innovative best practice by the Aspen Institute. 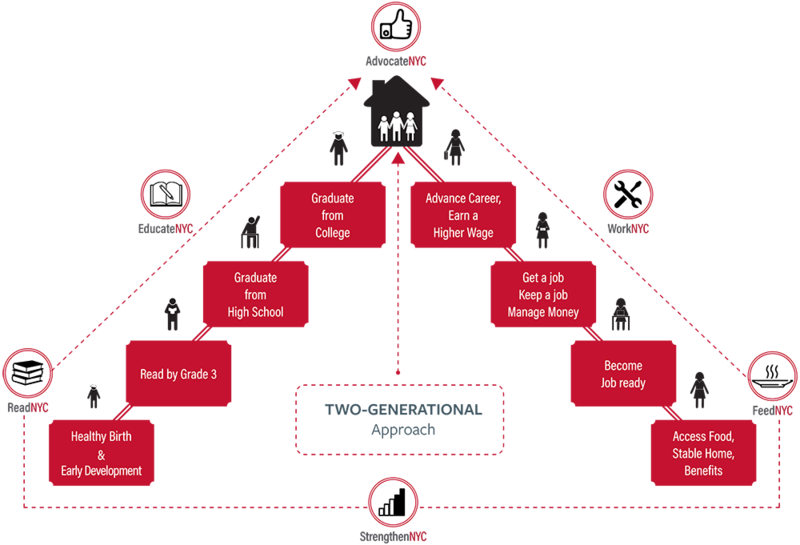 The approach focuses on improving educational attainment for school-age children, while at the same time strengthening the financial capabilities and education of their parents and caregivers. The result is heightened success for both children and parents that generates long-term, sustainable change. This evidence-based philosophy has shaped our programs and initiatives. ReadNYC is UWNYC’s initiative to help children meet the key goals of healthy births, early development, and reading proficiency by third grade, as well as help parents gain access to food, a stable home, and benefits. Through EducateNYC, UWNYC supports 20,000 students in 45 elementary, middle, and high schools to help them meet the goal of graduating from high school on time and ready for college or a career. Through FeedNYC, food-insecure New Yorkers are able to access nutritious food through emergency-food providers and soup kitchens. Through WorkNYC, housing-insecure New Yorkers are able to access eviction prevention resources; income-insecure New Yorkers are able to access cash benefits to supplement their income; and work-insecure New Yorkers will soon be able to access adult-education programs that build skills specific to high-growth industries that offer career pathways and higher income levels. In order to ensure that the nonprofits that provide ReadNYC, EducateNYC, FeedNYC and WorkNYC direct services to New Yorkers in need are equipped to carry out their activities at scale, UWNYC works closely with its community-based partners to build the effectiveness and leadership capacity of nonprofit organizations through StrengthenNYC, our nonprofit capacity-building unit. Finally, through AdvocateNYC, UWNYC seeks to ensure that the interim successes and ultimate results of its bold goal are not limited to a handful of communities, but are replicated broadly through policy and systems change that improve quality of life for all New Yorkers. UWNYC has been a trusted cross-sector partner for nearly 80 years. From our place at the intersection of governmental agencies, corporations, nonprofits, and communities, UWNYC plays the role of backbone to a comprehensive collective impact approach. UWNYC recognizes that islands of success are not enough and the alleviation of poverty is not the end goal. In order to affect larger systems change, organizations and individuals from across sectors need to stop working in silos and move toward a common solution—collectively. It’s UWNYC’s charge to bring these partners to the table to make a lasting impact. With key actors engaged, UWNYC structures and guides the collection of data—all in a manner that is community-led and community-focused—engaging all stakeholders. UWNYC and its partners then synthesize and analyze the data and identify community challenges, needs, and neighborhood assets that should be leveraged to improve conditions. This expansive, high-caliber, data-driven diagnosis of key problems and solutions would not be otherwise achieved in neighborhoods of concentrated poverty, without the careful orchestration of UWNYC and its partners—implemented shoulder-to-shoulder with schools, community-based stakeholders, government, and neighbors. Findings are then turned into actionable strategies, as UWNYC, its partners, and community stakeholders design a Community Solutions Action Plan (CSAP). The CSAP defines common goals, the evidence-based strategies to reach those goals, and the metrics to measure success. With the community’s endorsement, the CSAP is then deployed. At this stage, UWNYC serves as tactical support to community stakeholders. UWNYC mobilizes the government, corporate, foundation, and nonprofit sectors to bring additional hands and dollars to help scale the service delivery capacity of these community actions. Building on the success of the implementation, UWNYC then drives greater, system-wide policy change by engaging policymakers on a city- and state-level. This strategy was designed with influence from proven methods like those identified by the Stanford Social Innovation Review. 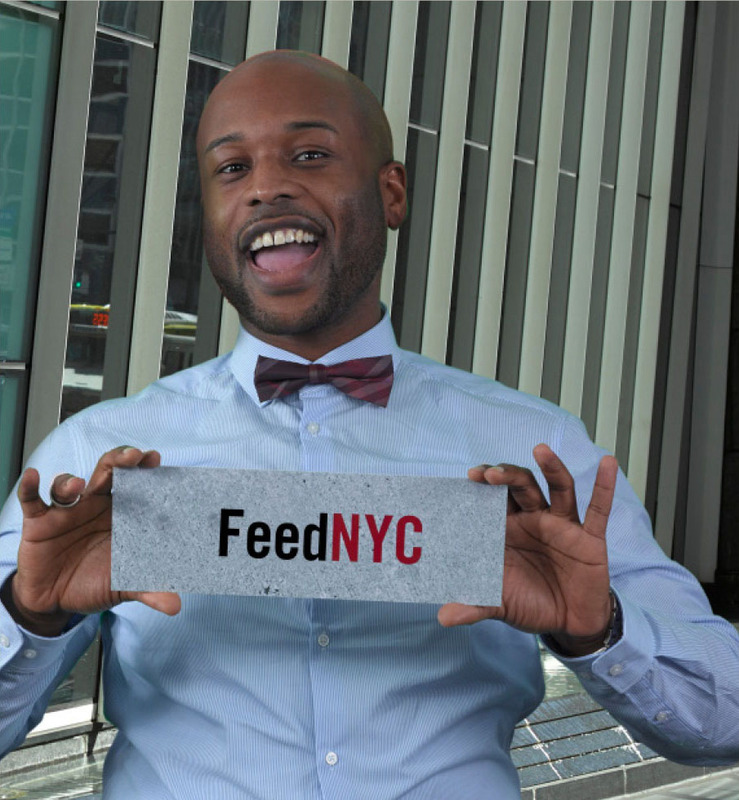 FeedNYC is UWNYC’s strategy to strengthen the capacity of emergency food providers to distribute healthy food to underserved neighborhoods in New York City. Emergency Food Programs (EFP): Each EFP receives funding to purchase nutritious foods, in alignment with state nutrition standards, and is required to spend 15% of their food grant on fresh produce. FeedNYC provided over $6.7 million in food support grants to 330 emergency food programs (EFPs) in FY15. These funds contributed to more than 55 million meals served to in-need New Yorkers across the City. Annually, UWNYC runs 12-15 workshops that train over 250 representatives from emergency food program sites in food protection, pantry management, and cooking with fresh produce to improve the health and nutrition status of people needing food assistance. Local Produce Link: In partnership with Just Food, FeedNYC operates Local Produce Link, a farm to food pantry program. In FY15, 8 small-scale farmers received $414,168 and delivered approximately 280,000 pounds of fresh vegetables to 48 food pantries across NYC serving over 242,950 people across the city. Operations Support Grants: Grants cover program operating costs such as rent, utilities, staﬀ, paper goods, and transportation. The average grant size is approximately $2,500 per EFP. For FY15, $950,000 in operation support grants was issued to 334 EFPs. These EFPs each provide emergency food assistance to approximately 2,466 people per month. Capital Equipment Grants: FeedNYC provides capital equipment grants to purchase refrigerators, freezers, shelving and other equipment to ensure funded programs are able to store and distribute food safely. Approximately $110,335 worth of equipment was purchased in FY15 for 66 EFPs. These EFPs each provide emergency food assistance to approximately 2,424 people per month. Client Choice: FeedNYC provides assistance for food pantries that want to transition to a system of food pantry distribution that allows guests to select their own food instead of receiving a pre-packed bag of food. Approximately $33,000 worth of equipment was purchased in FY15 for 10 EFPs. These EFPs each provide emergency food assistance to approximately 1,300 people per month. Seed Grants for Urban Farming: Seed Grant funds are targeted at urban farming initiative in NYC to transform unused land to vital, food producing spaces. In FY15, United Community Center received $30,000 to develop an urban farm at the Pink Houses, a New York City Housing Authority development located in East New York, Brooklyn. 500 pounds of produce were grown and distributed to neighborhood residents with over 350 community members engaging in farming through volunteerism and attendance at nutrition workshops. 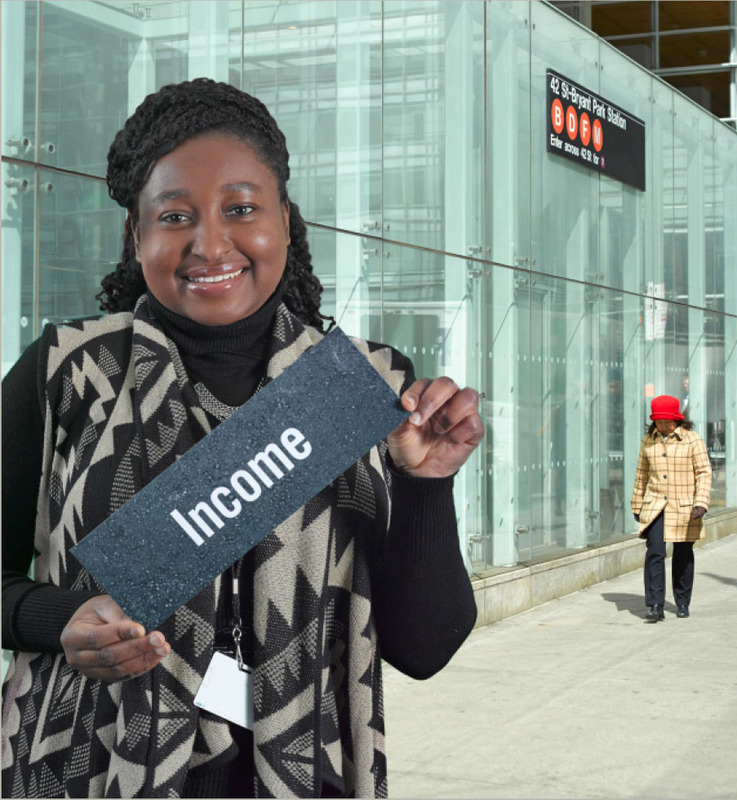 WorkNYC connects families with critical resources essential to self-sufficiency, including benefits access, financial empowerment, and workforce development opportunities. The Emergency Food and Shelter Program (EFSP) provides supplemental funds to existing emergency food and shelter programs to assist low-income New Yorkers to prevent hunger, preserve housing, provide shelter, and support their basic energy needs. EFSP organizations are required to have 15% of their food allotment of fresh and/or frozen vegetables. Food Support Connections (FSC) is a community-based Supplemental Nutritional Assistance Program (SNAP) aimed at providing screening, application, and enrollment assistance services for the hardest to reach low-income individuals and families across all five boroughs of New York City. UWNYC received a total of $900,000 in funding from Office of Temporary and Disability Assistance. Financial Empowerment is a joint collaboration with The Financial Clinic, Ariva, and BronxWorks. The pilot offered financial stability services, including: tax preparation, financial coaching, and banking assistance, as well as organizational capacity building, to nonprofits and residents of the South Bronx. 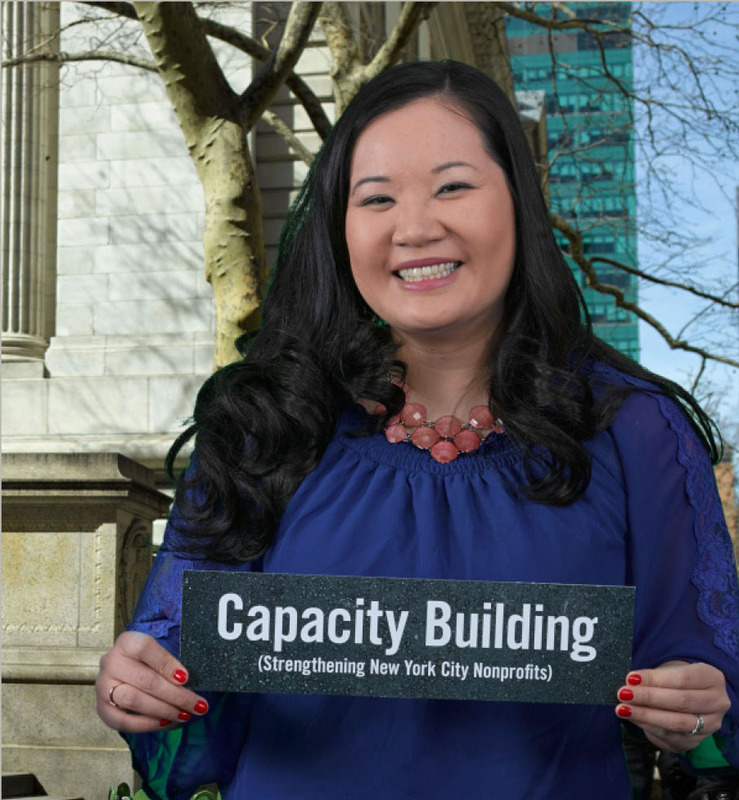 StrengthenNYC is UWNYC’s capacity building strategy, providing resources and expertise that deliver high-quality outcomes, ensuring the success of partner community-based organizations. 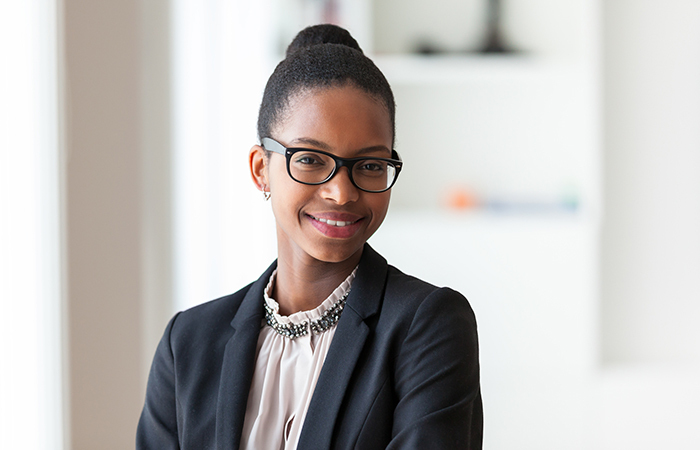 United Way of New York City’s BoardServeNYC Program trains individuals to become effective board members and connects them to local nonprofits interested in strengthening their boards. Leadership Development: In partnership with American Express and the Center for Creative Leadership, UWNYC sent a New York City-based cohort of 88 community-based organizations and partners to an intensive week-long leadership development training with the American Express Leadership Academy. This opportunity builds the capacity of these organizations, and sets UWNYC up for more effective relationships with essential partners in all five boroughs. The investment is worth more than $700,000. Change Capital Fund, a collaborative of funders, fights poverty by investing in the development of new, data-driven strategies created by sophisticated community organizations. 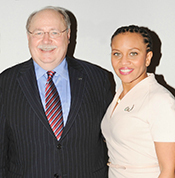 United Way of New York City is one of the founding organizations. Change Capital Fund provides four nonprofit organizations (Cypress Hills Local Development Corporation, Fifth Avenue Committee, New Settlement Apartments, and St. Nick’s Alliance) with $1 million each and technical assistance over four years to develop new strategies and prove that they work. The organizations’ strategies integrate services that focus on people and place and use data to increase impact. Beth has a love for theater and passion for sharing the arts with her community. When looking for a way to get involved, she came across United Way of New York City’s BoardServeNYC—a key aspect of StrengthenNYC. StrengthenNYC is UWNYC’s capacity building strategy, providing internal and external resources and expertise to the New York City nonprofit community. As a key aspect of StrengthenNYC, BoardServeNYC extends crucial infrastructure support and strategic guidance to fellow nonprofits by connecting them with talented and committed individuals who are eager to share their skills and expertise as board members. “I took the BoardServeNYC training this past summer and I thought the training and the matching process were wonderful. I wanted to work in the theater industry and my search came back with hundreds of matches,” said Beth. Since her BoardServeNYC experience, Beth has gone on to serve as a board member for a prestigious musical theater festival. At age three, Deysi emigrated from Mexico with her family. 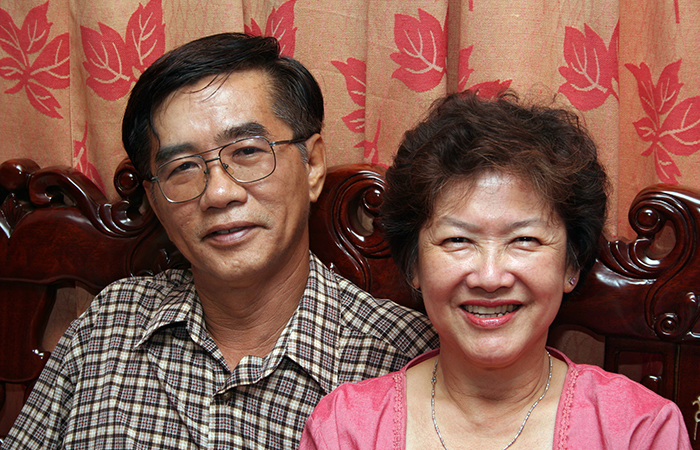 As an English as a Second Language student, she struggled in school and didn’t have a strong support network to help her. Today, Deysi is the mother of two boys and is working to create a better life for her children. To better her sons’ educations, she and her family joined UWNYC’s ReadNYC initiative in the Bronx. Her eldest son is a second grader at a ReadNYC partner school and completed the Once Upon a Summer (OUS) pilot program that reduces summer learning loss. Ninety-five percent of the students who participated in this program improved their overall reading-level. Ms. Andrews is a teacher. 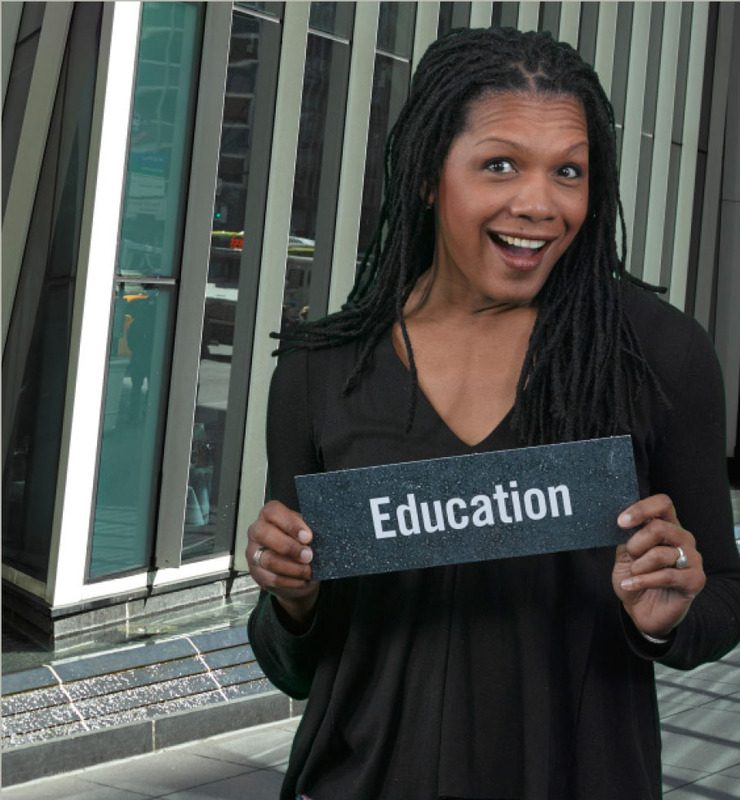 She works at a community school in the Bronx as part of United Way of New York City’s EducateNYC initiative. EducateNYC is UWNYC’s community schools initiative that’s creating lasting change in New York City. Community schools offer the supports and services needed to remove barriers and help students succeed in school. Two years ago, Joe was homeless. An Army veteran, Joe served his country in Vietnam but his return home didn’t play-out as anyone would have hoped. He speaks about his four years of homelessness with a refreshing disregard for the unfortunate events that got him where he was, saying simply that the circumstances don’t matter. Although Joe didn’t have a home to call his own, he found comfort and much-needed support at one of United Way of New York City’s WorkNYC partner organizations. 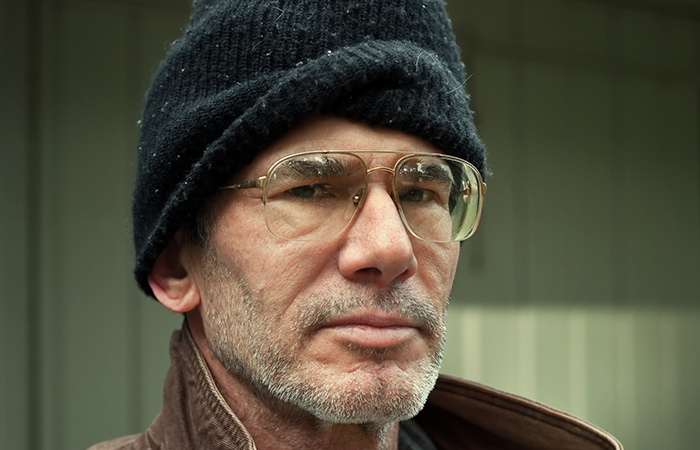 “I was treated with the utmost respect that aided me in keeping my dignity intact,” says Joe of his experience. “I was offered and given food, I was asked gently what my conditions were and how they could help,” continues Joe, offering that support came without any added outside pressure. 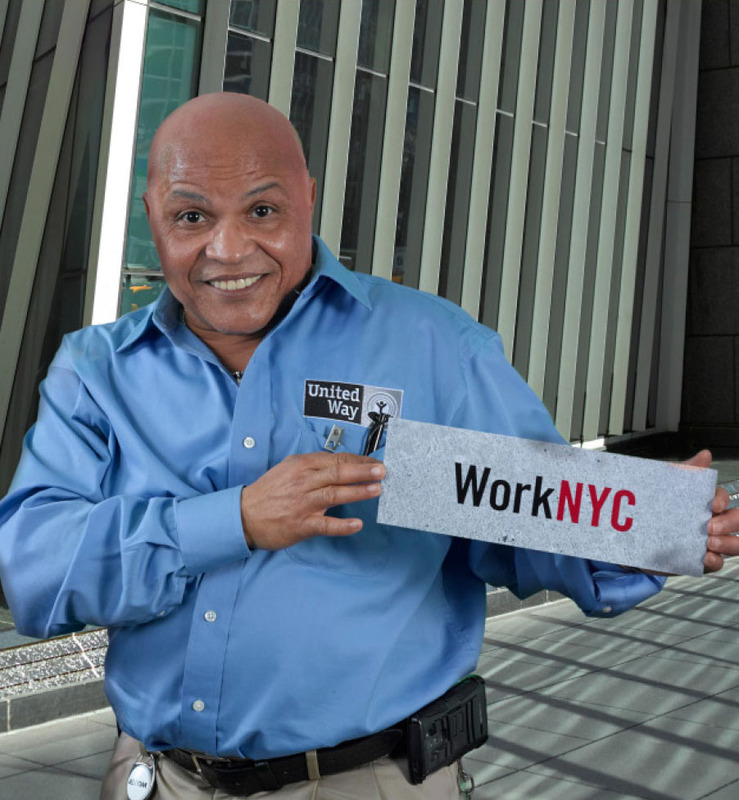 WorkNYC is designed to connect families and individuals, like Joe, with critical resources essential to self-sufficiency, including benefits access, financial empowerment, and workforce development opportunities. Renae was looking for information and resources to help support her community.work. Working with United Way of New York City Hunger Prevention and Nutrition Assistance Program (HPNAP)—a part of UWNYC’s FeedNYC initiative, Renae came together with staff from other community partners around NYC to learn about best practices and how to better the standards of their services. “[HPNAP] provided a lot of information that will not only assist me in providing excellent service to our residents but also enhance my safety practices while doing it.” said Renae. FeedNYC is helping to strengthen the capacity of emergency food providers to distribute healthy food to underserved neighborhoods in New York City. Since 1984, UWNYC has served as a local administrator for the New York State Department of Health’s HPNAP. HPNAP provides funding for 400 food pantries and soup kitchens annually, and offers training and technical assistance to improve program operations and the nutritional quality of distributed food. Two years ago, Joe was homeless. An Army veteran, Joe served his country in Vietnam but his return home didn’t playout as anyone would have hoped. He speaks about his four years of homelessness with a refreshing disregard for the unfortunate events that got him where he was, saying simply that the circumstances don’t matter. Since her BoardServeNYC experience, Beth has gone on to join The New York Musical Theater Festival as a proud member of their Board. The Tocqueville society recognizes local philanthropists who are committed to social change through outstanding community service and financial support. Today, there are nearly 400 Tocqueville Societies in the U.S., Europe, and other countries, with over 25,000 members. There are nearly 500 Million-Dollar Roundtable members in addition to over 470 families who have endowed their annual Tocqueville support through a planned gift. Tocqueville Society members’ experiences, abilities, and ambitions effectively help build a City of possibility for all New Yorkers. Includes dollars raised through workplace campaigns, corporate gifts, and gifts from individuals. Includes dollars from government contracts as well as grants from foundations. Includes dollars raised through our signature events plus other revenue such as investment income and fees. Includes dollars used for administrative and fundraising expenses. United Way of New York City works to increase the number of children and youth graduating from high school ready for college and a career. United Way of New York's City partners with community based organizations, financial institutions, government agencies, and other stakeholders to reduce the number of financially insecure families. United Way of New York City increases access to healthy foods and improves nutrition health literacy to increase the number of low-income families leading healthier, more active lives. Direct Donations are made to specific nonprofits through United Way of New York City campaigns. United Way of New York City hosted several exciting events throughout the year that engaged our donors, agencies, government leaders, and corporate partners. These signature events highlighted our work and showcased the invaluable partnerships that were formed to better serve our communities. Overall, our events raised over $2.77 million. The Power of Women to Make a Difference Award Luncheon chaired by Roseann Stichnoth and Elizabeth Wahab honored the professional and philanthropic achievements of Hayley Boesky (Managing Director and Vice Chairman, Global Markets, Bank of America Merrill Lynch) and Andrea Jung (President & CEO, Grameen America), who are making a difference in their communities. This annual luncheon is the flagship event of UWNYC’s Women’s Leadership Council and net proceeds support UWNYC’s education initiatives that serve thousands of young people, raising more than $5 million over the last decade. UWNYC’s Women's Leadership Council is a network of over 150 accomplished, community-driven women that are dedicated to making a difference in the lives of struggling New Yorkers. Since its inception in 1974, the Gridiron Gala highlights the unique partnership between UWNYC the New York Giants and the New York Jets working together to strengthen New York City’s communities. Our 2015 honorees were Prince Amukamara (Cornerback, New York Giants), Quinton Coples (Outside Linebacker, New York Jets), Kenneth I. Chenault (American Express), H. Rodgin Cohen (Sullivan & Cromwell LLP), and Tom Coughlin (New York Giants Head Coach). Co-chaired by Joseph A. Cabrera, Robert L. Friedman, Robert W. Mullen, Denise M. Pickett, and Michael M. Wiseman, the Gridiron Gala has raised more than $27 million to support United Way-led initiatives that benefit our City’s most-vulnerable youth. The Young Leaders Council (YLC) is a diverse group of over 300 young philanthropic professionals dedicated to supporting UWNYC’s initiatives to make New York City work for every New Yorker. The YLC hosts social events throughout the year, such as A Storybook Evening Masquerade and Brews and Books, that provide opportunities to network, fundraise, volunteer, and advocate on behalf of low-income New Yorkers. The YLC brings together young professionals with the philanthropic drive to positively impact our City’s communities. 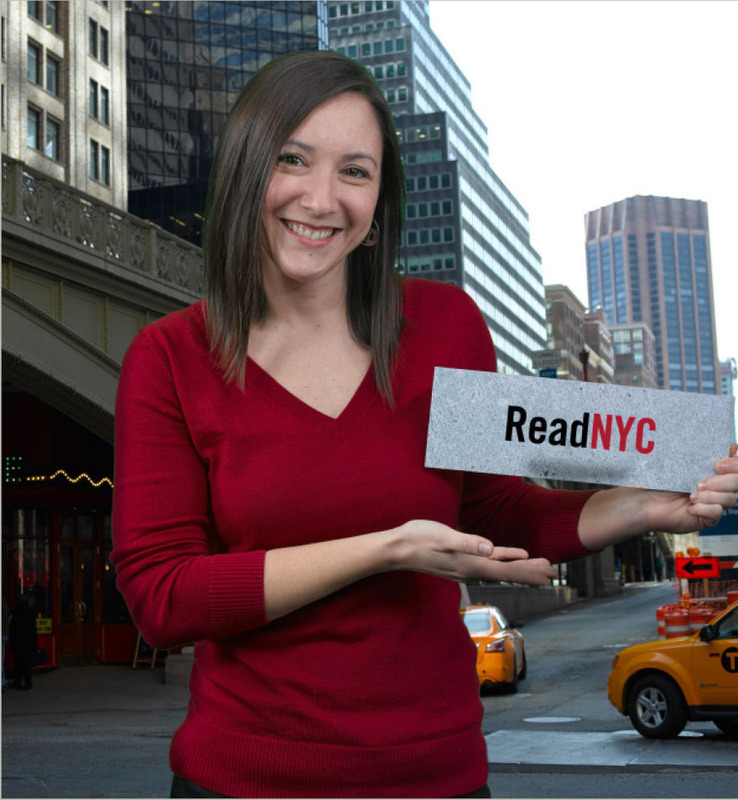 Sharing their time, talent, and treasure, the YLC raises awareness and support for ReadNYC.